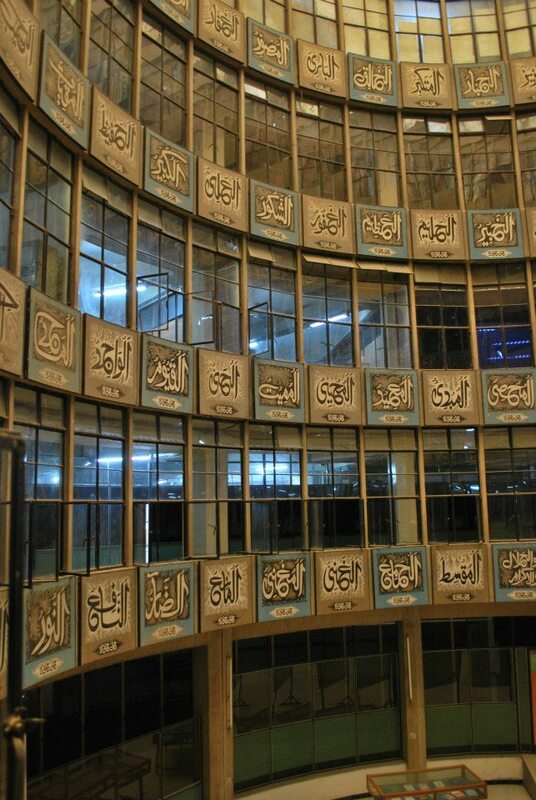 The eye-catching rotunda at Jamia Hamdard Library. Late 19th c. Persian work from Jamia Hamdard's Nazir collection. For anyone working on a topic related to North India, Delhi is difficult to avoid. It’s the region’s major travel hub, home to the National Archives, Teen Murti and the American Institute of Indian Studies, and also one of the best places to meet up with fellow researchers. For all these reasons, Delhi seems inevitably to figure, however briefly, on most research-related travel itineraries. Next time you find yourself in the capital region, consider visiting one of the less-frequented libraries listed below. What these twenty institutions have in common is that they all possess formidable collections of rare material, and all of them are underutilized. Moreover, since most are well off the beaten track, they are generally hassle-free places to work, with a minimum of red tape and entry requirements (for starters, you won’t need embassy introductions for any of them.) Many are run, and even held together, by passionate individuals and scholars who will engage with your topic and suggest further ideas and resources. You will likely find these conversations to be as fruitful and exciting as the material itself. This list is anything but comprehensive. I visited the libraries below in the spring and summer of 2013 while in pursuit of early Urdu travel writing. My notes on them are not the product of diligent, comprehensive research, but an amalgamation of my personal experiences and observations. There is necessarily much that remains left unsaid. For this reason, I encourage you to visit any library that sounds promising – you never know what you may find. In my case, while some had more material than others, every one of the libraries below had at least one relevant work that I have not encountered anywhere else. But don’t just patronize these libraries for their rare collections. Even if you only consult materials that are also available at Teen Murti, the British Library, or any other institution of great renown, your visit will still be worthwhile. A smattering of the libraries on this list are governmental; the rest are run by determined volunteers and organizations committed to preserving the city’s textual treasures for future generations. These valiant efforts ought to be met with the attention and increased footfalls they deserve. Think of it as shopping local. But before you dig in, remember: omnia mutantur. I have tried to verify all the details below, especially with regard to hours and the permissibility of reproduction. But such things are, alas, notoriously fickle. For, as Ghalib says, ki khushi se mar na jate agar aitbar hota – loosely: we would have died of happiness, if only we could have been certain. Having trouble finding the libraries? Find them on this map. DESCRIPTION: This institution was founded in 1915 by a cloth merchant named Seth Kedarnath Goenka. It is located on the second floor of one of the buildings lining Chandni Chowk near the Haldiram’s. Once you find it, ascend the narrow staircase to enter the reading room. The staff is very helpful and can direct you towards their set of catalogue registers, which are organized by language and subject. It is particularly renowned for its collection of rare Hindi periodicals. Photography is permitted. No documentation or letters of introduction are required. DESCRIPTION: This library is unlike many of the others in this list. It is a community project, an effort to provide the neighborhood with a space to study and to read. Its nearly ten thousand books, triple-stacked from floor to ceiling, are held in a room with the dimensions of a king-size bed. Almost all of them have been donated by neighborhood residents. Whether or not you find anything here relevant to your research, you may want to visit to meet with its volunteers and hear about their project. In particular, consider meeting with Mr. Sikandar Chingezi, who seems to know the location of every Urdu book in Delhi and beyond. Many of the libraries in the list you are reading now come from his suggestions. If you’re beginning research on any topic related to Urdu in Delhi and need a little encouragement and guidance, a chat with Mr. Chingezi is a great place to start. Photograph is permitted. No documentation or letters of introduction are required. TIP: Ask Mr. Chingezi or the library staff to tell you the story of how the idea for the library was first conceived. DESCRIPTION Reliable sources (Mr. Chingezi) tell me that the Fatehpuri Library holds a vast collection of pre-partition printed material. These books are certainly present, and their spines can be viewed through the glass cases during a visit to the library. To access them, however, you will need to track down the librarian, who holds both the keys to the bookcases and the catalogues (books are shelved numerically, using the catalogues as a legend). During my most recent stay in Delhi, the librarianship had changed hands, but these items had not. Hopefully this situation has improved. TIP: Even if the chances of getting to the books are slim, make a trip to this library anyways. The building is beautiful and merits a visit in itself! If the heat has you run down, have a phenomenal lassi at the shop caddy-corner to the mosque entrance. The courtyard of the Fatehpuri Mosque as seen from the entrance to the Fatehpuri Library. HOLDINGS: A medium-sized, unique collection of mostly printed materials in Urdu, Persian and Arabic, including some periodicals. DESCRIPTION: This small but welcoming library is unaccustomed to receiving visitors. The catalogue of books is printed and bound into small folders by subject. The collection has a wide range of material, mostly in Urdu. There are no copy services, but photography is permitted. No documentation or letters of introduction are required. TIP: The generous staff are likely to offer you tea and whatever food they happen to have brought in. Reciprocate by bringing in a snack to share with the attendant and the clutch of newspaper-readers that visit the reading room. Also consider meeting with the editor of the al-Jami’at newspaper, located on the ground floor. He may have other tips on how to pursue your research. HOLDINGS: The personal collection of Maulana Abul Kalam Azad; a general collection in Urdu, Hindi, Persian and Arabic; possibly a small number of manuscripts. DESCRIPTION: The collection of the Azad Bhavan library is split into two sections. Of these, the Goshah-yi Azad is likely to be the more interesting. All of the books in this section of the library once belonged to Maulana Abul Kalam Azad. There is a large amount of material available in Urdu, Persian and Arabic. The catalogue is not reliable, however, and you may prefer to browse the stacks to identify which shelves hold books related to your topic. The second section is dedicated to books purchased since the founding of Azad Bhavan. In either case, you should present copious documentation before browsing. No particular document is needed - a flurry of the usual documents (advisor’s letter, university affiliation, resident permit, etc.) should do the trick. To view a book, you will need to write a letter addressed to the Librarian requesting permission. For copies, a separate letter is required. Photography is strictly prohibited; photocopying of entire works is allowed at a set rate of around one rupee per copied page. TIPS: Expect to return several times before you get your copy. The head librarian is kind and will surely approve your request, but the library assistant/copier will hamstring your progress. Be persistent. Smaller requests seem to work better than asking for 3-4 books at a time. While you wait, ask the Gosha attendant about her decade working as an Arabic-language cataloguer in Maiduguri. HOLDINGS: An unpredictable collection of early and mid-twentieth century works in Urdu, Hindi, English and Sanskrit. Hindi is particularly well represented. DESCRIPTION: This library has a small, well-maintained collection. It does not possess a large cachet of rare materials, but it for scholars of the early and mid-20th century, it is worth checking, especially if you’re already in ITO. Access is open, and there are no limitations on photography. If you have registered with the Delhi FRRO, you may even apply for a library card to check out books. TIPS: When you arrive, speak to Riyaz, a cataloger who sits at the far left on the ground floor. He is enthusiastic and very supportive. If it is lunchtime, bring along a snack– he will probably insist on sharing his tiffin with you. HOLDINGS: A wide range of well-curated Urdu and Persian books and manuscripts. 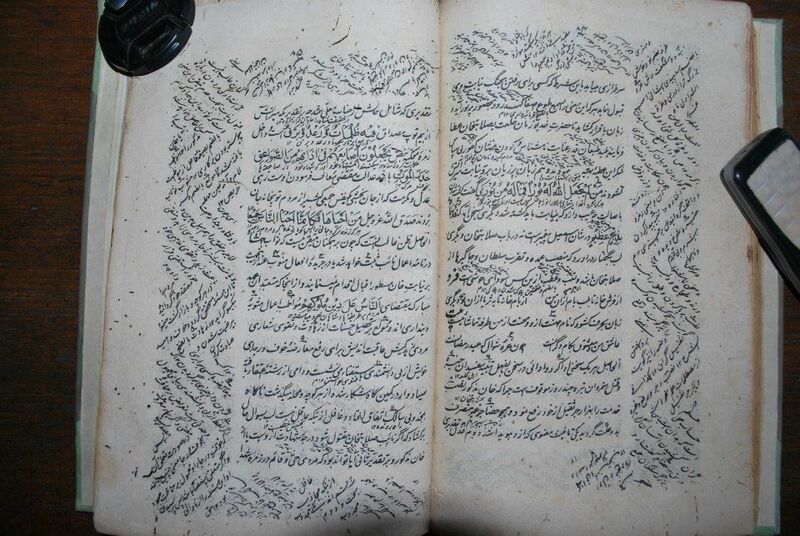 DESCRIPTION: The collection is broad within the field of Urdu letters. Literary works and other publications in Urdu are available; manuscripts may be available as well. Entry and photography are unrestricted. TIPS: The collections are under lock and key, and the key is held by the head librarian. If he is out there is not much you can do. To while away the time, head across the complex to have a look at the adjoining Ghalib Museum. HOLDINGS: A large collection of rare manuscripts in many languages from as early as the Mughal period, rare print books from the 19th and early 20th century in Indian Languages, and many first editions of English books. DESCRIPTION: This library was originally founded as the Hardinge Library in 1912, reportedly after Lord Hardinge survived an assassination attempt while astride an elephant. At Independence, the library was renamed after the leader of his would-be assassins. Since then, it has been known as the Hardayal Library. The depth and variety of this collection make it one of the richest sources of historical material in Delhi. It may not have what you are looking for – but if anyone does, it may just be here. You’ll want to explore as much as you can – the catalog is spread across a number of registers, by language and subject, with special registers for manuscripts and other rare books. At the main reception area, you may ask to look at the catalogues. If you find a book of interest, you must obtain permission to use the library and view books. To do this, exit the library and walk around to the back of the building, where there is a portico. On the right is the office of the in-charge. On the left that of the honorary secretary, Surekha Gupta. Mrs. Gupta, herself a scholar of Sanskrit, is eager to reverse the fortunes of this library and has ambitious plans to reinvent it as the center of research that it ought to be. If at all possible, try to arrange your visit directly with Mrs. Gupta, instead of with the other staff. She will make all final, official decisions regarding photography and access to materials. To consult materials, you will be offered a desk to work at inside the library. Photographs are generally available, with the stipulation that you provide a copy of your pictures to the library. This will help them to grow their (nascent) digital collection. HOLDINGS: A vast collection of manuscripts and early printed materials in Arabic, Persian and Urdu. A large collection of 20th century periodicals in Urdu, including rare magazines. DESCRIPTION: The central library at Jamia Hamdard contains the holdings of the university itself, plus several other donated collections. While all of these holdings are impressive, for scholars of the 19th and early 20th centuries, the Nazir collection is a treasure trove. These thousands of books are well-preserved and unlikely to be found anywhere else. In addition to Urdu, the section dedicated to Arabic and Persian religious texts is also expansive. Upstairs, the manuscript collection is similarly robust and is run by a very welcoming scholar, Dr. Sayyid Qamar al-Hasan. Upon arrival at the library, head to the second floor, sign in at security and ask to see the librarian in charge, Mr. Tanvir, whose office is just behind the security guard. For permission to use the library, you will need to give him a written request. Most rare books, including the Urdu collection, are held on the third floor. The Nazir Collection is housed in a special room that is especially convenient for reading. Photography is tacitly allowed. TIP: When the library closes for lunch, head to the international students’ hostel canteen for filling, convenient and delicious meals. A view of Jamia Hamdard campus, with Tughlaqabad in the distance as seen from the third floor of the Jamia Hamdard Library. HOLDINGS: A general collection in a number of languages, mostly printed books; some rare. DESCRIPTION: This cramped library belongs to one of Delhi’s most storied educational institutions, although its varied past is belied by its recent relocation and new buildings. It possesses just over a lakh of books. The collection is not particularly unique, but may yield some good finds. The staff is very welcoming, and you will be able to use the library after a brief meeting with the librarian. Photography is permitted, and copies can also be made at Rs. 1. TIP: The college is located just next to the tomb of the great poet Khwaja Mir Dard. No trip to this college would be complete without visiting his shrine. HOLDINGS: Persian books and manuscripts, and microfilms of Persian manuscripts collected from across India. DESCRIPTION: The Iranian Culture house actually contains a number of libraries that will be of varying use to scholars who work with Persian sources. The most noteworthy of these is the Nur Microfilm Center, which has collected microfilm copies of Persian manuscripts from across India. Catalogues are organized by the library from which they were acquired, which will require you to look at many volumes. Some of these have subject indexes, while others are only alphabetical by title. A few are also available on their website. You may view the microfilms on their microfilm projector. They only have one though, so on any given day, only the earliest scholar gets the worm. An alternative solution is to request an electronic copy. These cost approximately fifty rupees for the CD and ten rupees per folio, with no restrictions on the number of pages that may be copied. This later policy is particularly useful for filling out manuscripts for which you only have a partial copy. TIP: Bring your computer along and check the CD before leaving. It is possible that the manuscript you ordered may be missing files, or may contain illegible scans. HOLDINGS: Post-independence literature in all Indian languages. DESCRIPTION: The Sahitya Academy library is well organized and easy to access. Its collections include a wide range of literature in twenty-four languages. It seems to possess predominantly post-colonial material, though it may be very useful in tracking down more recent publications now unavailable elsewhere. While you technically need to buy a membership to join the Academy, you are allowed to browse the collection to see if it will be of any use before you join. TIP: The Sahitya Academy is a great place to view the entire collections of many notable writers and critics. These are kept separately, allowing you a glimpse of what these authors kept on their shelves. HOLDINGS: Collections of printed books in Hindi, English, Urdu, Persian and others. DESCRIPTION: Delhi University’s central library holds a wonderfully large and diverse trove of printed materials from the last two centuries. Rare works are mixed in amongst more recent books, making a visit to the stacks very exciting. The card catalogue for ‘vernacular’ languages leaves something to be desired, though, so as with many of the other libraries in this list, you may find it most convenient to head to the shelves that pertain to your subject. It also has a very strong collection of recent academic work in English that may be useful. For permission to use the facilities, address a letter to the library. When you arrive, enter the office located to the left of security to have your letter approved and stamped; this will serve as your right-of-admission on the off-chance you are stopped by the security guards. Photocopy facilities are available in the library, though they will (thankfully!) not copy any fragile or brittle material that is getting on in years. TIP: If you have a resident’s permit and an academic affiliation (as required for a research visa) you may or may not be able to apply for a ‘consultation membership’ if you have a letter from the head of the department and your local supervisor. HOLDINGS: Rare printed works and manuscripts in Arabic Persian and Urdu. DESCRIPTION: The collection at Jami’a Millia can be conveniently and comfortably accessed thanks to a recently constructed facility and the restructuring of the collections. Rare printed materials, mostly in Urdu, have been moved into a single room dedicated to their protection and preservation. They do not circulate, and are guarded at all times. This room has ample space for reading. The more general collections are in open stacks. Manuscripts are kept in a climate-controlled room that is locked when the curator is working in the rare books room. The manuscripts seem to be undergoing reorganization, so you may not find the piece you are looking for. There is technically a catalogue, but it may no longer accurately reflect the holdings. The staff in both the rare books and manuscripts rooms is enthusiastic and supportive. The office of the director is located within the library. The director’s secretary will accept your letter requesting access and give you signed permission to use the facilities. TIP: Consider getting lunch or an early dinner from one of the excellent non-veg restaurants in neighboring Zakir Nagar. I recommend the nihari. HOLDINGS: Old Urdu and Persian books. DESCRIPTION: Subhan is Delhi’s resident old Urdu bookseller. He only brings a fraction of the books he owns with him on Sunday morning. If you have a serious interest in early Urdu published texts, he can take you to his house to look at his entire collection, which has reasonably rapid overturn. It is impossible to say exactly what he may have when you visit, but his collection is sure to be one-of-a-kind. TIP: After visiting Subhan, walk back to Daryaganj and shop for used English books at the Sunday book Bazar. INDIA ISLAMIC CULTURAL CENTRE LIBRARY – I have not visited this library, but am told that it has a decent collection of works in Urdu, Arabic and Persian. A catalogue of holdings is available here. INDIRA GANDHI NATIONAL CENTRE FOR THE ARTS – The Centre has digital copies of manuscripts from libraries across institutions across India and the world. If they happen to have a copy of a manuscript you are looking for, this may greatly simplify your travel logistics. Participating collections are listed here. Do you want to find even more libraries in Delhi? Take a look at the University of Chicago Digital South Asia Library's list here. You can also learn more about the manuscripts available at many of the above institutions in the guide prepared by Omar Khalidi. DANIEL MAJCHROWICZ is a PhD candidate in the field of Islamic Cultures of South Asia at Harvard University. He received his MA from the University of Texas at Austin. His research interests include the fields of Islamic Studies, Urdu literature, mobility and circuits of knowledge in colonial and contemporary South Asia. His dissertation is tentatively titled: Travel as the Means to Victory: Reform, Progress and the Urdu Travelogue.